You may be struggling with the realization that it's already August and the fall is fast approaching. However, it's still hot as hell outside. An iced drink would be awfully nice right now. Starbucks might be able to help. It's running a "Meet for Macchiatos" promotion for the second time this year, and that means free macchiatos for you. Here's what the event entails. 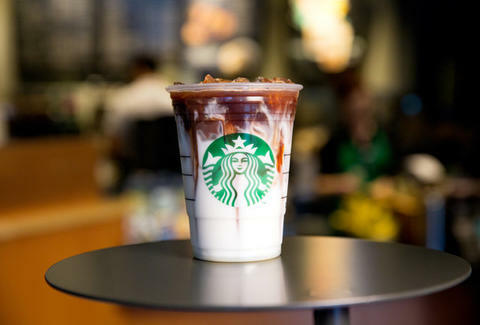 From August 3 through August 7, if you buy any hot or cold macchiato at a participating Starbucks in the United States, you'll get another one for free. Though, the deal is only good between 2 pm and 5 pm. The deal is good for all varieties of macchiatos, including some varieties the chain debuted earlier this year, like the Iced Cinnamon Almondmilk Macchiato and the Coconutmilk Mocha Macchiato. Yeah, you have to buy something to get something, but deals like this aren't all that commonplace at Starbucks. It is a perfect deal to go meet someone for a coffee, as the event title implies. Alternatively, you could keep both of the drinks for yourself and go full Stan McNer for the rest of the day. Up to you.